Jan Morris ‘the Great travel writer’ has fallen out of love with London apparently. The reasons she gives for this disenchantment seem to be almost exactly the same reasons why I love London. How moved I used to be by this city, when I first knew it, war-scarred but indomitable from the second world war. I truly loved it then – the proud battered style of it, the blackened and ruined monuments, the posh-and-cockney mixture, the Union Jack flying gamely through the smog upon the Palace of Westminster, the grimy tugs churning up the Thames –”Liquid ‘istory”, as John Burns called the dear old river in one of my favourite civic quotations. Look at it now! Does the flag still send a tremor down anybody’s spine? Is there anything indomitable about today’s London? Any atavistic pride? Evelyn Waugh said he saw it declining into squalid cosmopolitanism, and it is true that when I step off my train at Euston now I find myself entering a different city altogether from the one that used to thrill me. But here’s an odd thing. If I certainly love London less nowadays, I actually like it more! I like the glitter and fizz of it, the jumble of manners, the pace and the bitter brilliance and the kaleidoscopic parade of faces. It is no longer England, to my mind, but instead it is a marvellously invigorating sort of Dystopia. I love the ‘squalid cosmopolitanism’ of London but I’m pleased that it isn’t smoggy, war scarred or blackened by fumes any more. 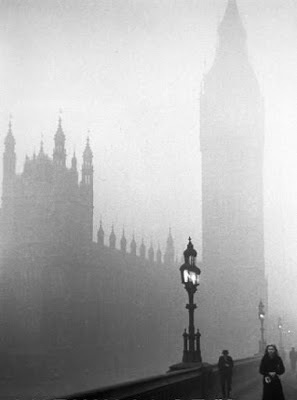 I don’t long for the ‘pea soupers’ of old that my grandmother describes to me, a four day fog in 1952 killed 4000 people! I’m not so bothered about the Union Jack flying atavistically upon the palace of westminster – It sends no shiver down my spine because I’m pleased that London no longer feels like England, or even Britain for that matter, to me if feels like the centre of the world, a world city, a global city. Stung by hearing my beloved home so abused I asked where she lived. Gloucestershire, she replied. “How ghastly,” I said, “it is an awful place, absolute hell. I hate going there, the people, the horses, the filthy lanes, the boredom. You must be dying to escape.” How extraordinarily rude, she said, and turned away for the rest of the evening. This paper aims to discuss the place of black America in the changing shape of the country’s cultural landscape. It argues that African American popular cultural production today needs to be (re)contextualised in a number of different ways. Not only has the globally reconfigured relations with the cultural marketplace led to the superseding of commodified authenticity with a new racialised subcultural cachet, but the ‘war on terror’ has also brought with it a novel articulation of the relationship between such racial and cultural formations. This paper, therefore, focuses on the global socio-cultural impact of black internationalism, the socio-cultural turn of the post-civil rights generation and the commodification of black resistance today. By focusing on the changes in hip-hop culture and its particular role in the globalisation of the themes of American social doxa, it aims to challenge the ways in which African American styles and ideas are now travelling around the globe.